New Delhi: National Highways Authority of India launched two mobile Apps – MyFASTag and FASTag Partner in New Delhi today, to facilitate the availability of FASTags for Electronic Toll Collection. Speaking on the occasion the NHAI Chairman Shri Deepak Kumar said the cumbersome method of purchase and recharge of FASTags has been one of the major challenges with the ETC project. The mobile Apps launched today will ease the process, making it possible to buy or recharge FASTags at the click of a mobile button. MyFASTag is a consumer App that can be downloaded from the App Store for both Android and iOS systems. A consumer can purchase or recharge FASTags on this App. The App also helps to keep track of transactions and provides for online grievance redressal. FASTag Partner is a merchant App. Agencies like Common Services Centre, banking partners and vehicle dealers can sell and enroll FASTag through this App. In addition to this, the App can also be used to activate the RFID tags that came built in with around 74 lakh cars in the country following the 2013 Gazette Notification in this regard. These RFID tags are already fixed on the cars but are dormant. This App will convert these RFID tags into ETC Tag (FASTag). Shri Deepak Kumar also informed that from 1st October 2017, all lanes of all 371 NHAI toll plazas in the country will become FASTag enabled. One lane in every toll plaza will be a dedicated FASTag lane where no other form of payment will be accepted. The other lanes, though FASTag enabled, can accept other forms of payment too. The dedicated FASTag lanes will become operational on all 371 NHAI toll plazas from 1st September 2017, he said. 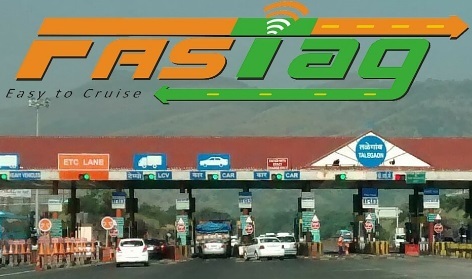 In addition to the above, NHAI has also come up with Online sale of FASTags and offline sale through Common Services Centre (CSC) near toll plazas. FASTag can now be purchased online from Issuer Banks websites / NHAI website / IHMCL website and will be delivered by courier at the door step of the purchaser. Beginning tomorrow, 18th August, 2017, FASTags can also be bought from sale points of Common Services Centre (CSC) to be set up near toll plazas. CSC has a proven track record of making 20 crore Adhar Cards and achieving many other milestones of Digital India in short duration due to their vast network. It is expected that the association with CSC will give the ETC ecosystem a further boost. More than 6 lakh FASTags have been sold so far. It is expected that these initiatives for improving the availability and access to FASTags will encourage more and more people to buy them. This will give the much needed push to the ETC project that aims to make travel more convenient, faster and environment friendly for people.